A couple months ago, thanks to Luisa, the San Antonio Socialista, I met the owner of Kinderdance of Alamo City, Jennifer Reid. She introduced Kinderdance to a group of local bloggers to share the benefits of learning through movement and all the programs that Kinderdance had to offer. I could really tell that Jennifer had such a kind heart and just wanted to grow children's self-confidence and life skills. I was glad to hear about her programs because I have searched for non-formal, fun dance and movement classes for my daughter, but didn't really find what I wanted, convenient to where I live on the Southside. It is also difficult to find something available for older kids and their KinderCombo class goes up to 5th grade. The great thing about Kinderdance is that it's mobile and travels to different public spaces, private schools, preschools and daycares throughout the city. At the time she did not have any on the Southside. We just attended Bug Camp at the Bibliotech on Pleasanton and they had a nice open space in the building. I mentioned this to the group and what do you know? 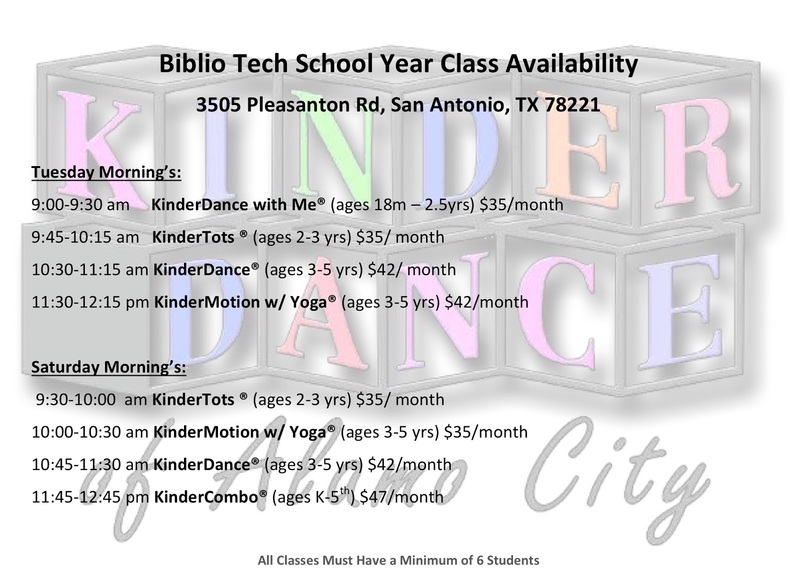 Now Kinderdance is open for enrollment for classes at the Bibliotech! I'm so happy to have suggested the location and even more delighted that the classes are affordable! 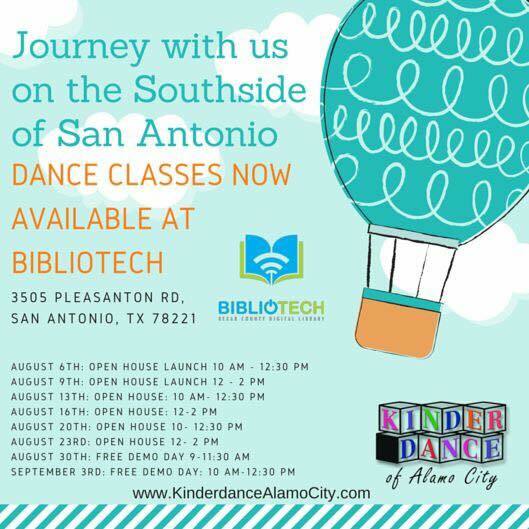 Check other locations if the Bibliotech is not convenient for you and see how easy it is to enroll online. The classes must have a minimum of 6 students, so tell your friends, and pay the a visit at an Open House or Demo Day event!